Stay Connected on the JobSite! 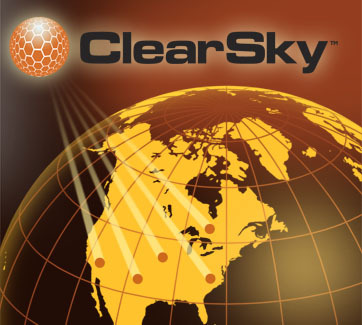 Know when and where your equipment is being used with ClearSky™ Technology. 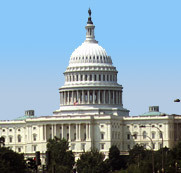 Get peace of mind with geo-fence theft notification. Reduce unexpected failures with machine service interval reports. Track the hours of usage, fuel consumption, oil pressure and engine temperature in real time. Expanding the JLG Telehandler Team to help boost your productivity. The powerful G10-43A is the newest JLG telehandler. It has a full 10,000 lb capacity and maximum lift height of 43 feet. The new 619A and 743A compact machines are compact enough to handle crowded job sites but have standard features available on larger telehandlers. 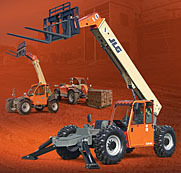 View the entire JLG telehandler lineup. JLG helps customers target construction and defense-related projects. 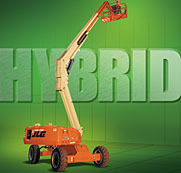 JLG hybrid lifts reduce emissions while you work. Work cleaner and leaner with our line of hybrid electric boom lifts, including the E400/M400 Series and the E600/M600 Series. Designed to help you reduce your fuel consumption, these electric boom lifts deliver quiet, dependable performance indoors and out. How well do you know your construction equipment safety? Take our quiz and find out. 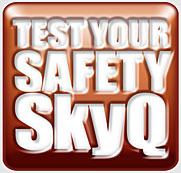 To celebrate National Safety Month, the first five people to score 100% will receive a prize.